Today’s marketing professionals are challenged with exciting the media and industry influencers beyond the traditional press event format. Of course, we’re not all like Apple, announcing the latest iPhone at the company’s brand new spaceship-like campus in a theater named after Steve Jobs, aka “The Man”, himself, after nine months of hype and mystery. Even small businesses and challenger brands can bring to life their next press event with a few tweaks away from the traditional. Press events are still an essential part of your overall marketing strategy. Whether it’s to launch a new product, roll out a new seasonal line, merge brands or make a large company announcement, you want to attract respected members of the media and your industry who have the power to reach and influence your target audiences. But we believe that journalists and bloggers are consumers, too, and are motivated through unique brand experiences. And by experiencing your brand in new ways, they’ll understand your story better and share it with the world differently. 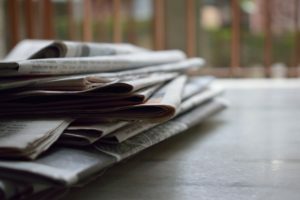 Today, it’s less about getting one mention in a newspaper and more about creating a social excitement around your brand. Even if you don’t have the beau-coup bucks to spend, you can still take cues from the brands who are doing press and influencer events excellently. Here is our guide on how to take your next PR event to the next level! Too many times we ask for an event’s key message, and we receive a list of three primary messages, five secondary messages and ten tertiary messages. Sound familiar? While we know that there will be different angles and perspectives to be gained at a press event, we recommend having one simple message that is the overarching theme of everything you do at your event. Afterall, with 18 key messages, it can get confusing even to the most experienced reporter who understands elaborately complex messaging hierarchies. If everyone who attends leaves knowing your one simple message, you will have educated your audience successfully. This one message should be at the root of all of the rest of your planning. 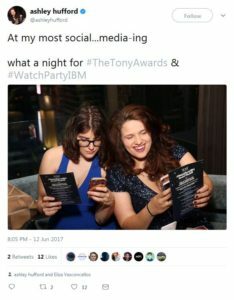 When IBM identified The Tony Awards as an opportunity to host an influencer event, they turned to social listening tools to discover who to invite. They were looking for 15 brand relevant influencers, such as people who enjoy technology and digital products, as well as The Tony’s. And they were also seeking 15 Tony’s specific influencers, such as those who love Broadway and theater. They found these 30 active online influencers on social media and began building a community with them months prior to their upcoming event. When invites went out, they had high confidence that the individuals they selected were the right fit for this event, and invites included a plus one option to make the influencer feel more comfortable in attending. For your brand, think about the news sources (local, regional, national or international) your audience trusts, your industry publications, leading industry bloggers or personalities, and any trade organizations that are interested in your content and able to create buzz within your marketplace. Who do you have existing relationships with? Start there! You may also turn to social media to listen to those leading conversations within your sector or among your target audience. Your invitees don’t have to have celebrity status to be influential; they do need to have a sincere interest in what your brand is offering. Like IBM, if you tie your press event around another event, e.g. The Tony’s, you can also find influencers with those shared interests when it makes sense for your brand and your targeting objectives. Be sure to consider company stakeholders, internal or external, who have positions of influence within their communities. Today’s “press” comes from many channels, not just one of the big three network affiliates. @ashleyhufford shares a post to Twitter following this year’s IBM Watch Party, June 12, 2017. Treat all of your invites like VIPs, whether they hail from the most respected publication on your list or are an up-and-coming blogger. And make them all feel like part of the same elite group, the first to see your latest reveal. This helps build FOMO (fear of missing out) and piques curiosity among those invited – and their audiences. Find balance in the quantity. While you may want to make sure everyone working at any media outlet anywhere sees your product, it may be more effective to have a select few in attendance. Based on your budget and the personal attention you want to show each attendee, you may need to set limits on your invitation list. Knowing that they are just one of the 20, 60 or 100 available registrations cultivates an air of exclusivity. Members of the media want to break the news first, so this will be very well received. A press release is boring! Send personalized invitations. For example, IBM created custom playbills with a cartoon of the individual influencer they were inviting to their watch party. Engage with your invitees in several channels pre-event. You can send digital invites, but also send something in the snail mail. If you’re focusing more on local news media, you should deliver a special treat in person with a save-the-date card. Reaching out on social media can be a great way to remind and excite your guests about what’s to come. Start delivering an experience from the very beginning. Just because you’re making a corporate announcement doesn’t mean you’re restricted to hosting the event at your corporate office (unless the announcement is about your brand new campus or showroom that you want to show off). For product launches, a conference room or the front steps to your building is just awkward and squashes creativity. However, choosing the right venue can often be challenging. You want a place that is convenient with easy parking or close-by taxi lines. Yet, you want something unique that will enhance the memorable experience you’re planning for your guests. The space needs to accommodate your plans for the experience. Plus, if photogs are going to be lugging their equipment along, you want to make sure the space is fully accessible. Consider your brand when selecting the venue. If you hold a nature-inspired position, an outdoor park may be fitting. Choose a venue that is attractive to your invitees, but don’t choose one that will detract from your key message or that clashes with your brand. When a guest arrives to your event, you want to welcome them with a wonderful first impression. Set a positive tone for the entire event with your welcome area. If you’re doing registration, make it as seamless and fun as possible. Mobile check-ins are popular, and NFC (near field communication) can aid in delivering your guests unique experiences throughout your venue. Tracking an attendee’s activity at the event and syncing your event data to your CRM will help you with personalized follow-ups post-event. Any event tech you introduce should be used to streamline your attendee’s registration and should always be tested beforehand. I’m a strong advocate for social snacking. Depending on the type of experience you design, light refreshments are probably all you need for most PR events. Beer and alcohol aren’t required, either. However, some brands have done full five course meals during a press event. For our PR kickoff of the Montana Moment Tour, we brought in a renowned chef from Montana, using Montana-grown and -raised ingredients. If budget is a concern, find a sponsor for the food and beverages. The sponsor can be on site to meet and mingle with the attending news media, as well, so it could be a win-win arrangement. Besides, aligning your brand with great partnerships is usually always a good thing. Be sure to outline the type of food and drink that will be available to your press friends in advance, and take note of any special dietary concerns you need to be aware of before finalizing the menu. If doing more of a light munchy spread, consider a vegan option and have a list of ingredients handy in case anyone questions an item. Finger foods or cookies/desserts are great for a more networking atmosphere. The experience is what will set your press event apart – it’s the fun part! This is where we say forget the typical song and dance you will find at every other press event in town and truly impress! When we’re working with clients, we align the experience with the brand and one overarching message. Sometimes, ideas come to us quickly – and sometimes it takes a lot of brainstorming and testing to develop the best concept for the experience. What’s important is to find ways to immerse the attendees into your brand using multiple senses. Sometimes, it is as easy as putting the product in their hands. A hands-on engagement doesn’t have to be big or flashy (or expensive). If you get the product in their own hands, they’ll have more to say about it later when they’re retelling your story. If your press event isn’t a product launch, the experience should add an ‘Aha!’ moment for the attendee that reinforces your key message. The experience should be at the heart of your event, and the experience should encompass everything about your event. It should feel, to your guest, that the entire press event was one seamless, flowing, memorable experience – starting with the invite and never ending. For the Audi press event, the minimalist room setup was likely strategic. White stools with VR headsets was all they needed to produce the memorable experience. Anything else may have distracted attention away from the immersive VR experience. And in those cases, your budget is better spent elsewhere. However, one of my personal favorite examples is of the Maison Lancome. Why? Because of their intricate attention to detail! Lancome, named after a rose grown in France, invited beauty editors to a unique Parisian experience…in New York City. Set up inside a unique house, or maison, guests were able to figuratively transport to the brand’s Paris home. There are so many ways to add a few decor details without breaking the bank. If you’re a youthful or vibrant brand, use the old school crepe streamers. If you want to soften the mood, string lighting hung in rows across the ceiling adds a touch of magic to any space. Balloon ceilings are also a trendy way to decorate on a budget. Colorful frames or small chalkboards throughout the space with the event hashtag or your brandisms written on them can enhance the environment, as well. Photos or posters placed strategically throughout the space can keep your brand at the forefront. Think about fun touches you can add to not only eye level, but also the floors and ceilings and places you might not think of, such as the staircase, back of chairs or bathroom. The details can really bring an event together! You’ve gathered an elite group of reporters, influencers and industry leaders into an amazing venue to enjoy a remarkable press event…for a reason. Don’t forget to tell them! If the experience overpowers your one key message, you’ve failed. Be sure to incorporate the ‘news’ you’re sharing in many ways, such as through live stage announcements, one-to-one speaking engagements, signage, tweets using your event hashtag, sky writing, whatever works! It’s also important to give your attendees the opportunity to ask questions and clarify any points they need for the articles and blogs they’ll be writing about you. It may be a full brand experience, but the goals of your press event are the same: to give the press what they need! Don’t forget to cover the basics. If anyone can appreciate a great story, it’s the story creators attending your press event. We often consider the power of storytelling when designing an experiential marketing strategy. And it’s the way you tell – or involve attendees in – your story that will unquestionably take your next press event to a new level. Do you know I hated the second entire half of the story, Gone Girl? Why? Because Gillian Flynn set me up in the first half for a mystery, only to give away the ‘ending’ halfway through. Once I knew what had happened to Amy, I lost interest in reading the rest of the book. Lesson: Save some of the mystery for the end. I’m not saying you have to create a lot of suspense or throw in a plot twist, but make sure something special happens in the last ten to twenty minutes of your event. Bring in an unannounced guest speaker, throw confetti, honor an award recipient, turn up the music – but make it memorable. Just as the first impression is important, the last impression is, well, lasting. We always recommend something meaningful. Whether that means it’s tied to your brand – or the experience – the swag, itself, has to build a connection between your key message and the recipient’s understanding of your brand. Too many event planners save the promotional items for last to order, but the choice you make actually plays a large part in bringing everyone together. It’s no small task to carry long-lasting memories of one press event with your attendee for years to come. When the beauty editors left Maison Lancome, they each took home a Parisian market bouquet tagged with information about the company’s charity partner, St. Jude. Just by attending the event, the editors could feel good about helping St. Jude. TAKE5: SXSW Swag Exchange from Barkley on Vimeo. While your small press event won’t have freebies galore, it does make us ponder having a variety of swag items that attendees can choose from on hand. Or, you can save the storage space and think about virtual swag. During the White House Correspondents’s weekend in D.C., guests were treated to a digital gift-giving wall that allowed them to tap their badges to receive personalized gifts over email. At the TED Conference in Vancouver, guests could visit the gift cave to pick up electronic gift cards or online course registrations. Choose giveaways that are useful and helpful to your audience, but that also reinforce your one key message creatively. We all know the value of social media, of how one influencer can share one post that puts a spotlight on your brand to her hundreds of thousands of followers. Trusting influencers to promote your brand in a positive light can be scary for those of us who are control freaks. In today’s world, people are going to post about you online anyway, so setting up the influencer event the right way mitigates your risk. First, you want to set the scene for your guests. Use strategically placed props and create Instagrammable spaces. Consider screen size and how to subtly add your brand into each shot. Let your guests know what you recommend for photo opportunities. If you stage it well enough, photos from your event will all be brand-approved! Secondly, encourage – and encourage often – social media sharing. If you don’t set the expectation clearly, your guests may miss their cue. Promote the event hashtag(s) on every printed collateral, throughout the event space and verbally. Include it on all press communications, including invites, releases and post-event follow-ups. Thirdly, incentivize but foster organic communication. While there are paid influencer programs, for press events especially, we highly recommend sparking organic conversations. If the content of your experience is share-worthy, you won’t have to pay for any posts. It is in this audience’s nature to share, so don’t risk your reputation by pushing too hard. However, you may want to incentivize or reward social sharing. For example, if an attendee participates in your green screen experience and shares their photo online, they could be entered to win a new product giveaway. Or, for the top hashtag user, you’ll reward them with a grand prize, such as an exclusive pass to an after party. Finally, have a social media team on site and monitoring all social media activity. Replying in real-time to attendees’ posts will keep them engaged online while they continue to enjoy the rest of your press event. While you’ve worked hard to create FOMO and exclusivity for your in-person event, streaming your ‘news’ announcement or other parts of the press event live to a wider audience is something you should consider. It’s not right for every brand or every announcement, but when it is right, it can fuel the excitement and amplify your reach. Of course, pre-event promotion to generate live views will help boost your online engagement. In conclusion, a podium and mic in your conference room isn’t the only way to set up your press events. A brand experience could be more productive in inspiring stories about your brand and creating new excitement among your influencers. Whether you have a big or small budget, a few creative considerations could shake up your next press event. Let’s plan your next press event together; give us a ring today.